It was late fall, and the couple had placed a table with donuts on it for all their guests to enjoy before entering the room where the ceremony would take place. 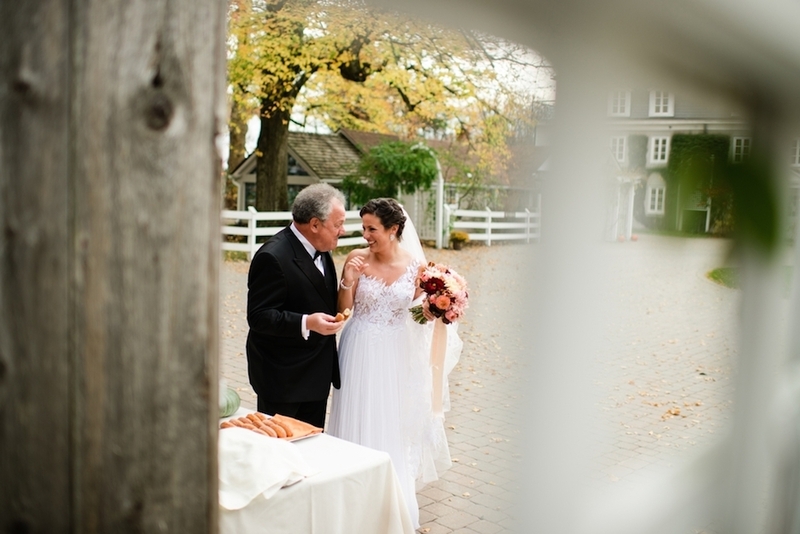 While we were waiting for it to begin, we caught Anna enjoying a donut with her dad before he walked her down the aisle. It was a really sweet moment.